Stamps: Sincere Salutations, Nature's Path (thistle stamped behind sentiment); Ink: Not Quite Navy, Baja Breeze; Paper: Baja Breeze, River Rock, Whisper White, Paisley Petals DSP; Access: Big Shot, Framelits, embossing folder, taffeta ribbon, Ribbon Border Punch (retiring May 31st). 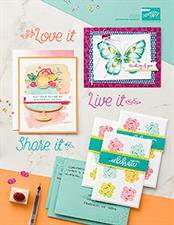 I got a peek at Stampin' Up's new catalog launching June 1st and am happy to say I LOVE IT!! 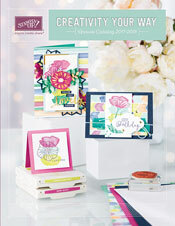 I love every stamp set....and for the first time in almost 10 years I am not mourning retired stamp sets...there is something better/cuter in the new catalog! Beautiful job on this card, Dana!!! Never would have thought to use it like this! Huge Sale!! Retired Stamp Sets!! !